The average initial fees and charges on the loans also moved down, from 1.23 to 1.16 percent. 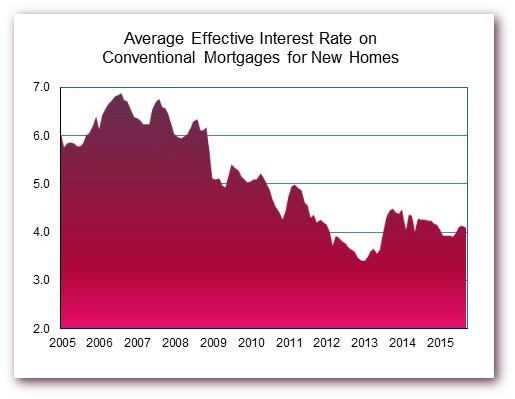 As a result, the average effective interest rate (calculated by amortizing initial fees over the estimated life of the loan) dipped from 4.12 percent in August to 4.09 percent. As previously noted, these changes are small. Rates on new home mortgages have been basically stable since July. 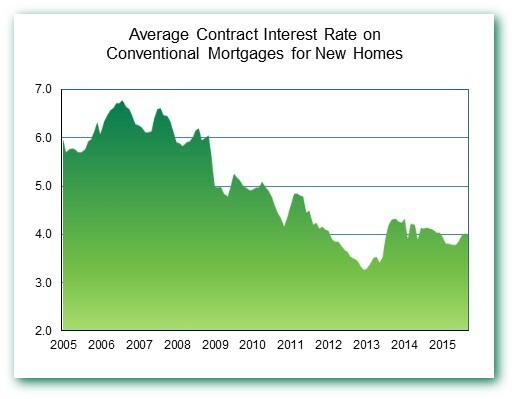 While interest rates have been stable, the average size of the conventional mortgages used to purchase new homes surged in September, to $358,200. This is a 3.7 percent increase from August and represents an all-time high. The previous high of $352,500 was posted in June of this year. 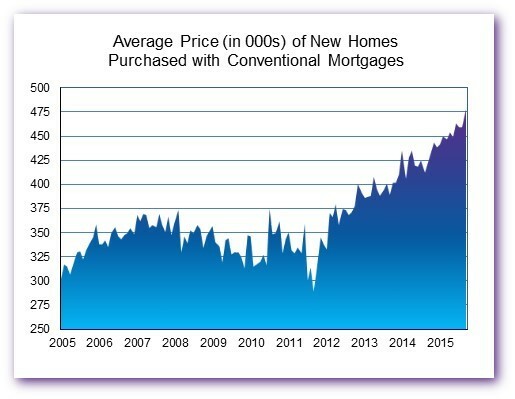 Maintaining August’s loan-to-price ratio of 77.5 percent, the average price of newly built homes purchased with the conventional loans also increased substantially in September (by 4.1 percent), to $477,000. Again, this represents an all-time high. And again, the previous record ($462,100) was set in June. 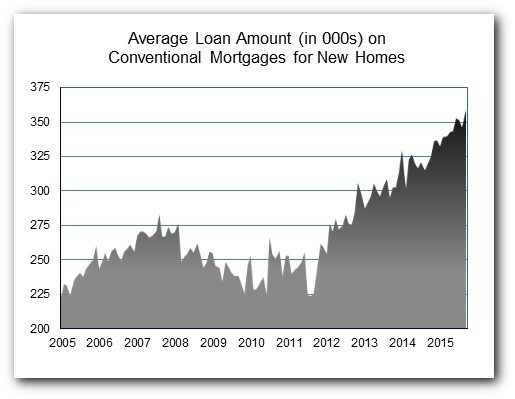 The averages discussed above come from FHFA’s Monthly Interest Rate Survey (MIRS) of loans closed during the last five working days in September. For other caveats and details about the survey, see the technical note at the end of FHFA’s October 29 news release.